For one family living in Sherman Oaks, that childhood dream is a reality. 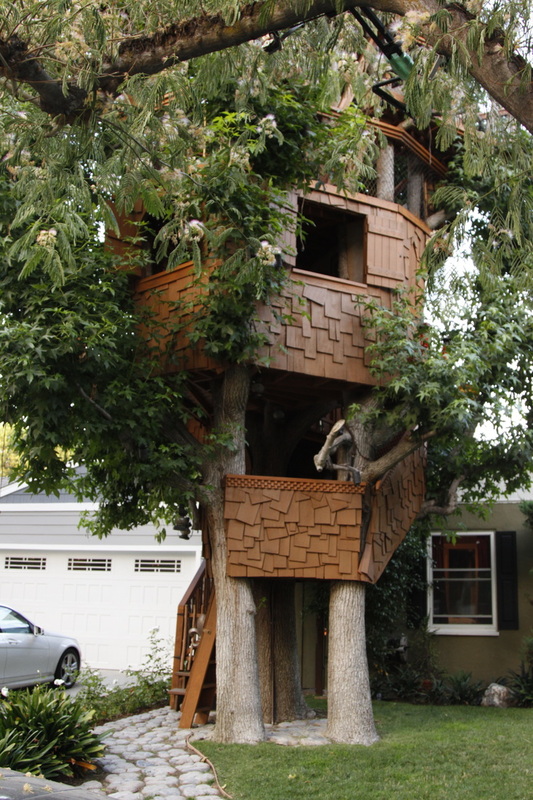 In the front yard of 4602 Morse Ave stands a 4-story tree house. Drew and I stood a respectful distance in the street to linger, admire, and appreciate this hidden treasure. We saw built-in stairs and buckets attached to ropes. Of course! No treehouse would be a real treehouse without lowering a bucket to retrieve a snack, beverage or comic book. The owner and brilliance behind the treehouse is Rick Polizzi. Mr. Polizzi is a three-time Emmy winner for his work as an animation producer for “The Simpsons”. His treehouse would be the envy of Bart Simpson.